"Boasts an all encompassing practice covering the full range of landlord and tenant issues, and is noted for his particular expertise in cases concerning easements. Strengths: 'He is highly knowledgeable and is able to give very clear guidance on law and tactics in complex cases.' 'The questions put to him are tough and searching, but he handles it with ease and provides advice that satisfies everyone in the room. He fosters a spirit of collegiality.' Recent work: Acted for the intermediate lessees in litigation arising due to the failure to register initial notice in a collective enfranchisement case". Chambers UK Guide 2016 (Real Estate Litigation). "Handles numerous cases concerning agricultural property as part of his well respected real estate practice. Contentious agricultural landlord and tenant matters are regularly undertaken and he tackles cases concerning rent reviews, enforcement of covenants and leasehold enfranchisement. He also advised on development agreements. Expertise: 'He is a very effective senior silk.' 'He is a true heavyweight'.” Chamber UK Guide 2016 (Agriculture & Rural Affairs). "His advice is always understood by lay clients, who like his commercial approach." Legal 500, 2015. "Jonathan Gaunt QC has 'one of the best brains in the business'". Legal 500 2011. "Jonathan Gaunt QC impresses observers, acting recently on Eastleigh Borough Council v Town Quay Investments. he is 'consistently excellent, especially when it comes to highly complex valuation and land matters', and 'always maintains a steadfast eye on the client's commercial goal'. Gaunt is very popular". Chambers UK Guide 2011 (Real Estate Litigation). "The 'extremely wise and able' Jonathan Gaunt QC is recommended. Gaunt handles a range of property matters, including rent reviews, enforcement of covenants and issues concerning mines and minerals". Chambers UK Guide 2011 (Agriculture & Rural Affairs). "Jonathan Gaunt QC has a 'gentle charm with a razor-sharp intellect' ". Legal 500 2010. "Sources judge Jonathan Gaunt QC to be a 'seasoned advocate who is both approachable and positive in his thinking'. A fine cross-examiner, he is 'especially good at exposing the vagaries of the opponent’s case'. His skills were recently on display in Bocardo v Star Energy, a trespass case concerning mineral extraction." Chambers and Partners 2010 (Real Estate Litigation). "Jonathan Gaunt QC is an all-round property practitioner who offers expertise in restrictive covenants, easements, rent review, landlord and tenant matters and conveyancing. Gaunt is “an extremely strong practitioner who has been making the complex look simple for a number of years now”. An important case for him has been Coleman v Ibstock Brick Co, the first appellate case on testing whether a substance is a “mineral” since 1932 ". Chambers and Partners 2010 (Agriculture Section). "Jonathan Gaunt QC’s advocacy is always perfectly pitched” Legal 500 2009. Revered as a "formidable opponent" in the courtroom, Jonathan Gaunt QC has undertaken a significant amount of enfranchisement work of late. He appeared in the case of Cooper Cameron Limited v. Rolls Royce plc, which determined that a licence to occupy premises pending the grant of a lease does not create a tenancy protected by the Landlord and Tenant Act 1954. Commentators state that he has a "serious mind" and demonstrates an "exceptionally warm manner with clients". Chambers and Partners 2009 (Real Estate Litigation Section). "As joint head of chambers Joanthan Gaunt QC provides solid leadership to the set and has a courtroom reputation as a "heavy hitter" who hugely impresses clients with his command of cases and his ability to convey very complex points to the lay client". Chambers and Partners 2009 (Agriculture Section). "Jonathan Gaunt QC is technically able and approachable". Legal 500 2008. "Jonathan Gaunt QC a "throughly class act" who has appeared in over 70 cases in the Court of Appeal and is particularly skilled at landlord and tenant rent reviews." Chambers and Partners Guide 2008 (Agriculture). "A bright chap and effective cross-examiner", Jonathan Gaunt QC provides a "calm, considered approach that has the ear of the court". His workload includes a litany of easement cases as well as appellate work on leasehold enfranchisement and rent reviews, and he sat as judge on the recent Princes House case. He is also an editor of Gale on Easements". Chambers and Partners Guide 2008 (Real Estate Litigation Section). "The formidable Jonathan Gaunt QC is an eminent agriculture silk." Legal 500 2007 (Agriculture Section). "Jonathan Gaunt QC is "mercifully plain-speaking and deals with legal arguments in a measured way". His astute, commercial and authoritative approach is "unblemished by any trace of ego", suiting clients who prefer a clever, understated style." Chambers and Partners Guide 2007 (Agriculture Section). "Jonathan Gaunt QC enjoys a strong market reputation resulting from his "supreme intelligence and unshakeable attention to detail." Chambers and Partners Guide 2007 (Real Estate Litigation Section). "Jonathan Gaunt QC is one of the more eminent silks who is very popular with clients". Legal 500 2006 (Agriculture Section). "Held in high regard is the "calm and considered", Jonathan Gaunt QC." Legal 500 2006 (Property Litigation). 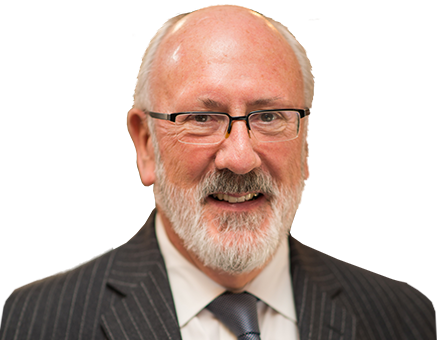 Jonathan Gaunt QC has "a powerful intellect" and is "very client-focused", Gaunt provides "clear and succinct advice in guiding a clear path through the forest of litigation". Chambers and Partners Guide 2006 (Real Estate Section). "Jonathan Gaunt QC is both capable on paper as well as on his feet in court". Legal 500 2005 (Agriculture Section). "Intellectual ability is Jonathan Gaunt QC's great strength. He is praised for being "calm but very through, with excellent attention to detail". Legal 500 2005 (Property Litigation Section). "Peers describe Jonathan Gaunt as intellectually excellent in an understated elegant way". Chambers and Partners Guide 2003/2004 (Agriculture Section). Joanathan Gaunt is immensely respected by the market. Commentators pay tribute to his great eye for detail and undivided attention to cases". Chambers and Partners Guide 2003/2004 (Real Estate Litigation Section). "Jonathan Gaunt provides prompt and efficient service and is intellectually first-rate. He acted for Pye in the Lord's case Pye v Graham". Legal 500 2003. "Calm and effective Jonathan Gaunt won plaudits for his knowledge of landlord and tenant matters". Chambers and Partners Guide 2002/2003 (Agriculture Section). "Wonderfully calm and authoritative Jonathan Gaunt, who solicitors admire for his phenomenal ability to absorb the facts of the case". Chambers and Partners Guide 2002/2003 (Property Litigation Section). "Singled out for particular praise was the "thorough and measured" Jonathan Gaunt". Legal 500 (2002).